When Sophie Waiting’s sister in law, Victoria Waiting was diagnosed with a glioblastoma multiforme grade four brain tumour in 2016, neither she nor the rest of family could believe how quickly the condition would develop and sadly take their beloved ‘Vic’. 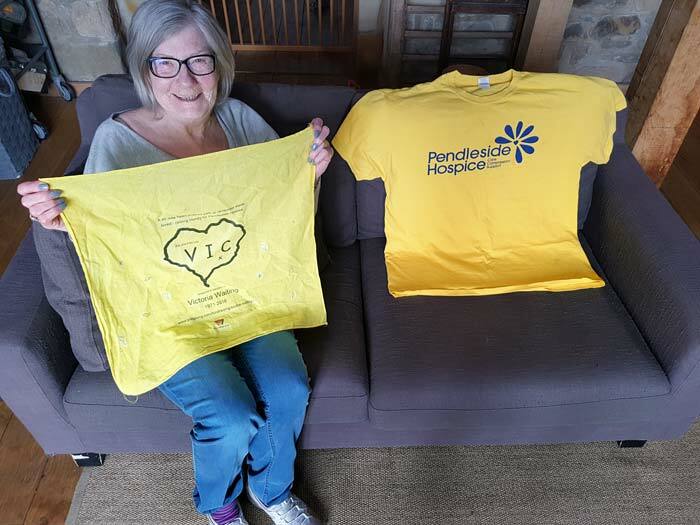 Struggling to cope with looking after her, the family reached out to Pendleside Hospice who supported both Vic and her family and friends throughout her final days. Sadly, Vic passed away just three months after her first seizure. 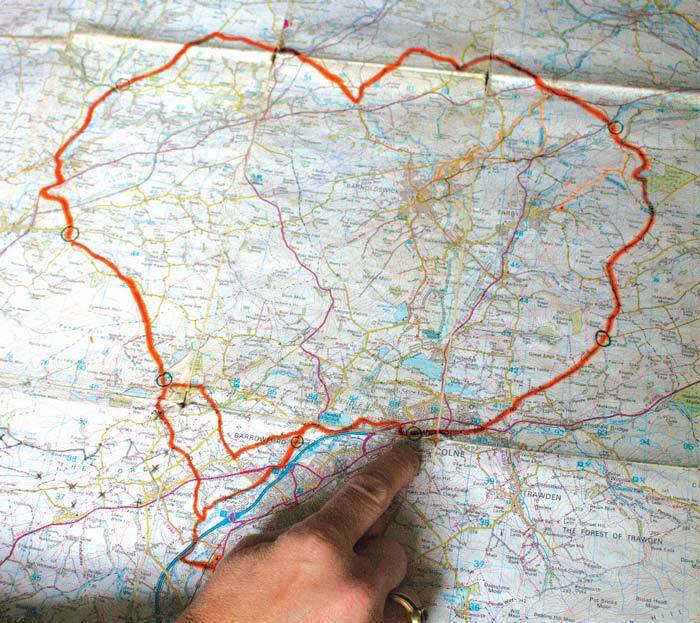 Now, Sophie has created a 40-mile, love heart walk which she hopes will raise thousands of pounds for Pendleside Hospice. Vic, was 44 when she died, leaving behind husband Stewart and their two children, James and Alex. She was a well-known local business woman who ran Waitings, a civil engineering firm. She was also a keen equestrian and owned a number of horses. She also had what Sophie can only describe as incredible values. 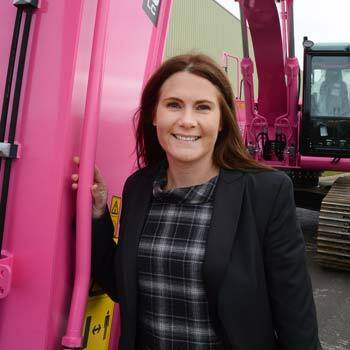 Vic with the massive pink digger she bought for her fleet which raises money for charity everywhere it goes. But how on Earth did Sophie manage to create a walk in the shape of a love heart? 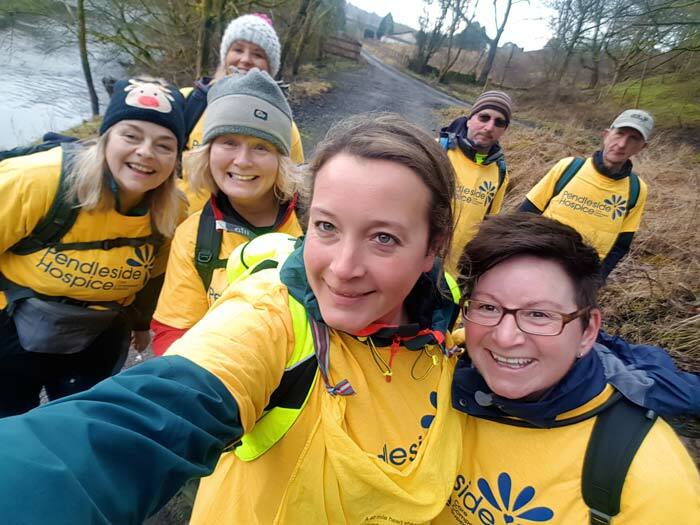 Sophie and her family and friends have done the walk twice and she admits it attracts a lot of attention – but she puts it down to the brilliance of the hospice and the way it has touched so many people. “They come up and tell you their stories about their dealings with the hospice and how they’ve been touched with it,” Sophie smiles, “when Vic went in to the hospice we were struggling. Sophie visited us at Northern Life to tell us about the Loveheart Walk. In desperation, the family went to the hospice in the hope of sorting out her medication and helping with Vic’s panic attacks. Sophie wrote a referral and the very next day Vic was admitted to the hospice. “They kept her safe until she died seven weeks later. It was devastating.” Sophie sighs, “but through the entire nightmare, the horrible and evil cancer, that place stands out. It’s celebrating the great Northern countryside and is part Yorkshire and part Lancashire! The hospice allowed the Waiting family to make the most of Vic’s final days, grieve and relax and now Sophie is determined to raise as much money as she can for them. 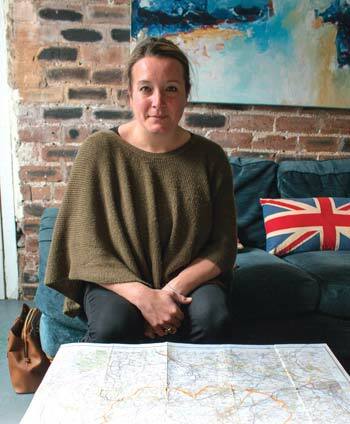 As well as getting everyone involved, Sophie has also ensured the walk celebrates everything northern and takes in some of the best stopperies and eateries Lancashire and Yorkshire have to offer! 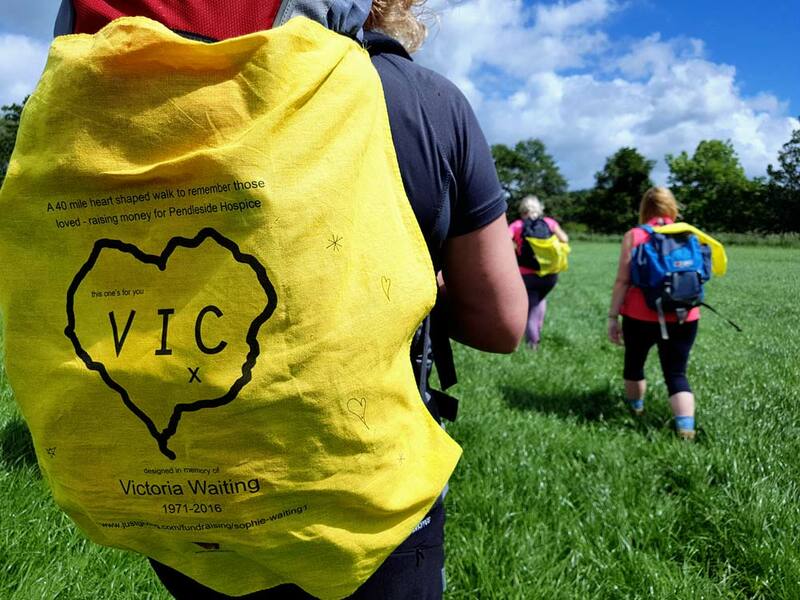 Sophie has created packs for the walk which include a T-shirt and a map and for a small registration fee of £10; anyone can pick up the pack and complete the walk. If you want to help Sophie on her way to her target, visit loveheartwalk.com to register your interest for a pack including a map and T-shirt.